I admit, I have slacked off the past week and let down the NTCF faithful, with zero Celtics coverage from the last 3 games. I simp,y don’t have an excuse for this transgression. But I am ready to move on. The Celtics were 2-1 in the last three games that I did not provide a recap. They lost to the Spurs, followed that with their best win of the season against the Thunder, and then beat the Magic in overtime. The Celtics are 14 games into their 2012-2013 campaign with an 8-6 record, good for fourth in their division, and 8th in the Eastern Conference. In 14 games, I can tell you 10 things about the 2012-2013 Boston Celtics. Forget the streak. Rondo is getting double-digit assists without any real trepidation because these assists are coming in the flow of the offense. Thank you to Adam Lowenstein (@StatsAdam), who answered my question via Twitter when I asked who Rondo has found the most during this streak going into last night. The answer? Paul Pierce with 112. Kevin Garnett 110. Brandon Bass 79. 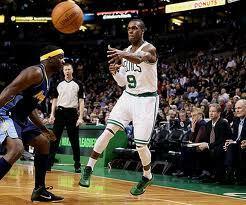 Rondo routinely gets guys open looks. Think about how many wide open shots the Celtics miss. 10 assists a night is Clockwork Rondo. One night Jeff Green looks like a young Paul Pierce, the next night he looks like Jerome Moiso (if you don’t know who he is, you aren’t a true Celtic fan). Here are Jeff Green’s point totals in 14 games: 3, 11, 11, 6, 4, 12, 7, 16, 5, 9, 6, 5, 17, and 1. The Celtics have zero idea what they are going to get from him night in and night out. The fact that he isn’t rebounding (2.7 a game) makes his inconsistent offensive output all the more glaring. Anyone who has read me since the season starts knows I love Jeff Green. But facts must be acknowledged. My love for him is without reason at the current time. Heat 50%, 8. Bucks 44.4%, 8. Wizards 30%, 6. Wizards 34.5%, 10. 76ers 53.8%, 7. Bucks, 15%, 3. Bulls 33.3%, 3. Jazz 46.7%, 7. Nets 36.4%, 8. Raptors 36.4%, 8. Pistons 36.4% 4. Spurs 50%, 8. Thunder 25%, 6 Magic 42.3% 11. The Celtics are giving up about 24 points a game from 3. In my opinion, that is much to high a number. The return of Avery Bradley will help the Celtics leaps and bounds on the defensive end of the floor. There have been reports that the Celts are looking to bring back Mickael Pietrus to help defend that perimeter. My hope is the Celtics go after a big man to fill the roster spot left open by Darko’s leaving the team. But if the Celtics can’t defend opposing guards, Danny might be forced to bring back Air France. I find myself getting excited when I see #12 checking into the game. He is lightning fast and has the ability to put up points in a hurry. He isn’t a traditional point guard, but I am starting to think that is working in his favor. He has been getting to the rack at will, and has the ability to find the glass on all of his shots. He is averaging only 7 points a game, but has had 3 games where he has put up 15 or more points. He is an added dimension the Celtics have not had in a long time. It is always nice to have scoring off the bench. What scares me most about the lack of rebounding illustrated by the Celtics 14 games into the season? This is the same weakness that hurt them in the playoffs last season. Opposing teams are getting on average 10 second chances a game. That is simply inexcusable. Once again, it’ll be interesting to see what Danny does with Darko’s now vacant roster spot. Do you take a flyer on Kenyon Martin to beef up the front line? Do you put together a trade package for Marcin Gortat? That package is likely to include Avery Bradley with another roster player. The Celtics tend to play undersized and their bigs aren’t overly athletic. There is no easy solution to this problem. Until it is fixed, the Celtics will not get out of the Eastern Conference come playoff time.